West Brom boss Tony Pulis is confident that captain Darren Fletcher will sign a new deal to stay at The Hawthorns beyond this season. The 33-year-old midfielder is out of contract this summer and has been offered a new contract by the Baggies, who are ninth in the Premier League. "It's always one side wants to have a little bit of this and the other," said Pulis. "I'm sure they'll come together. I'm convinced." Pulis added: "I'm not involved in those discussions thankfully, that's for the club, Darren and his people. He's been here two and a half years now and has been fantastic as a captain, a person and everything else. "If he decides he wants to go and the club can't do it, then we can't. We move on. We're all hoping that's not the case." 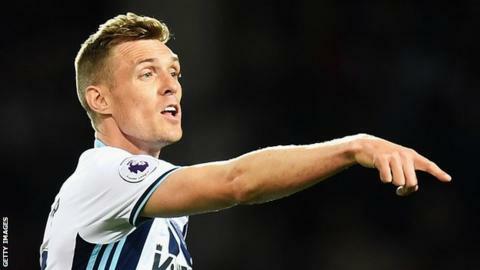 Fletcher has made 96 appearances for West Brom since joining from Manchester United in February 2015, scoring six goals, and is in line to face Swansea in Sunday's league finale.